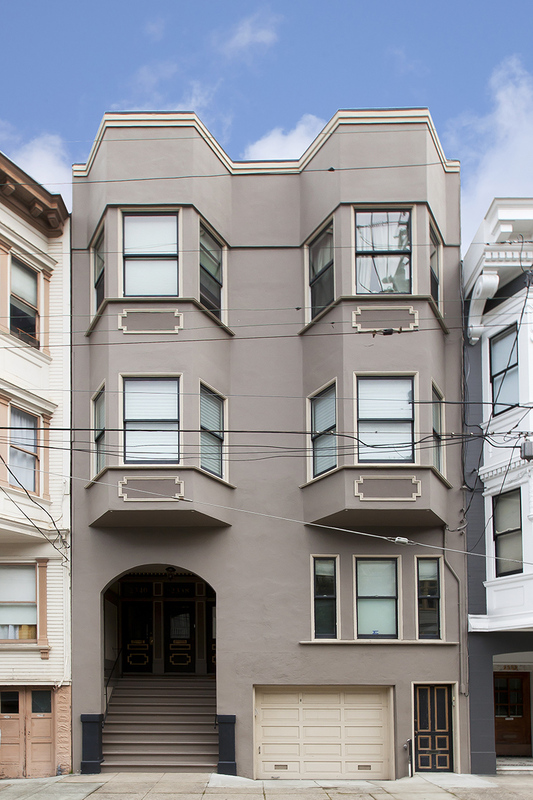 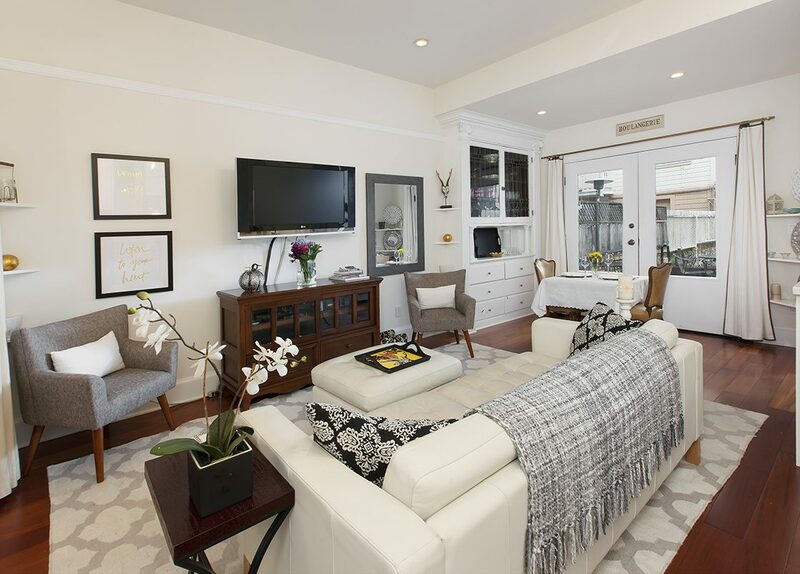 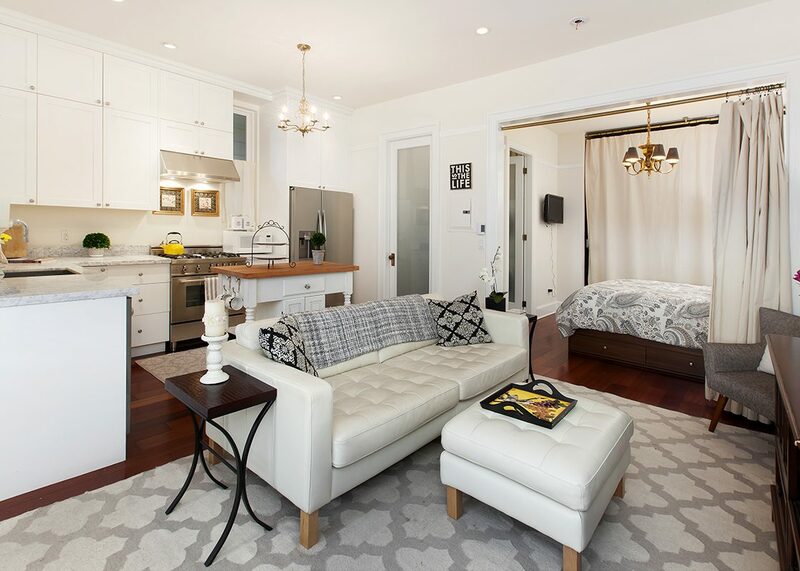 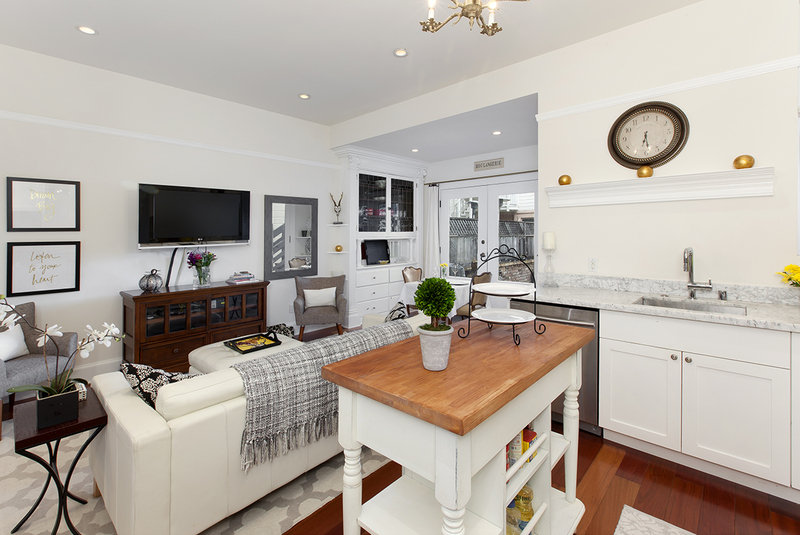 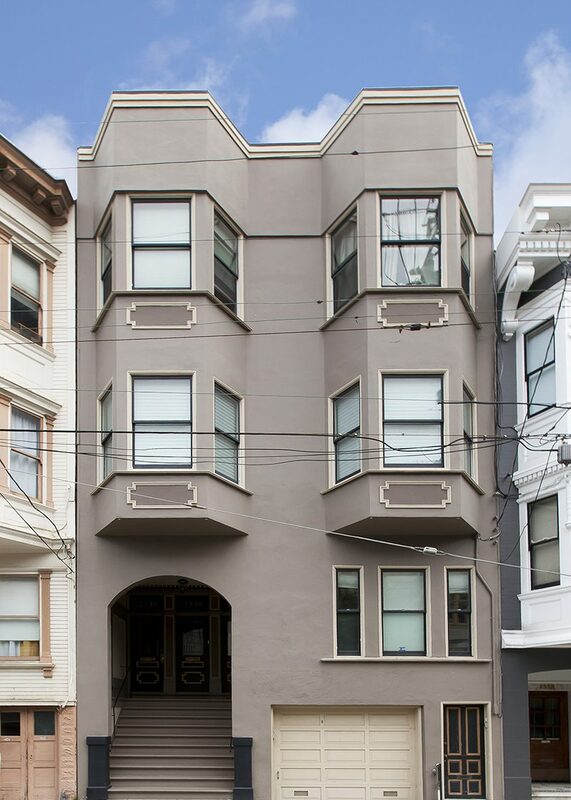 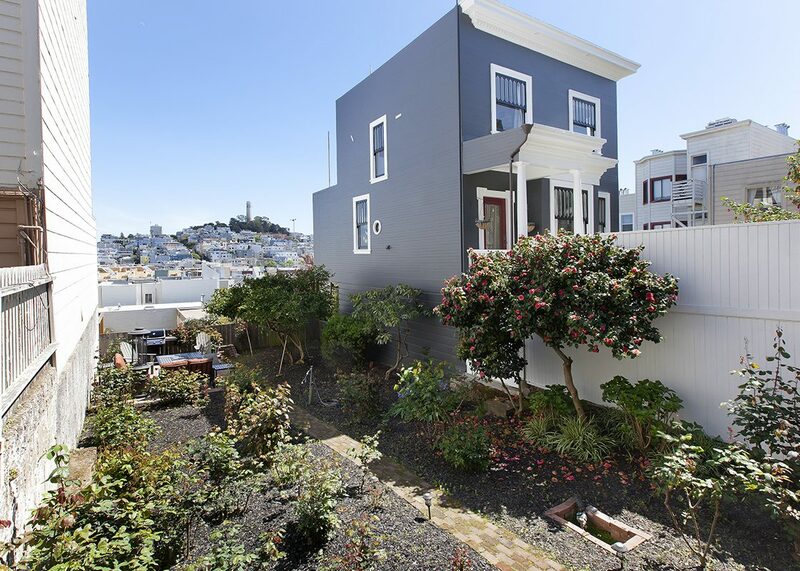 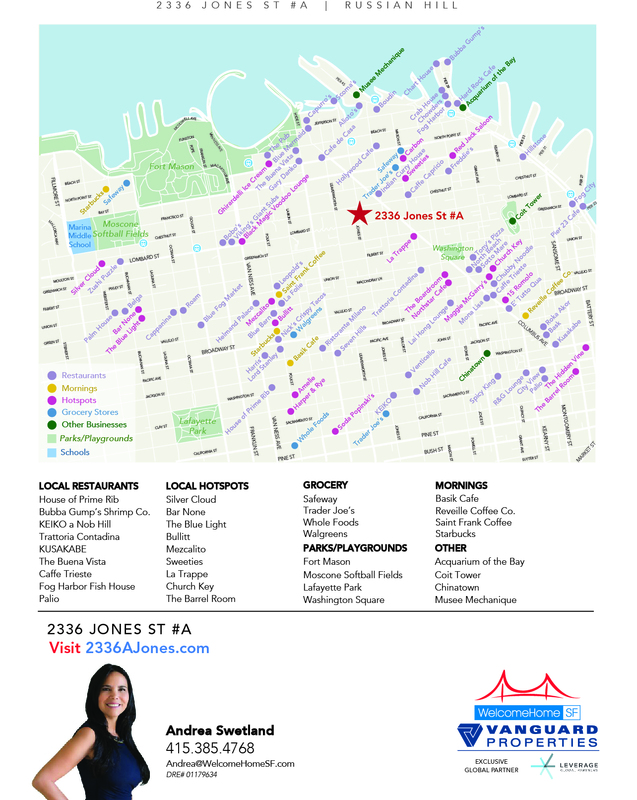 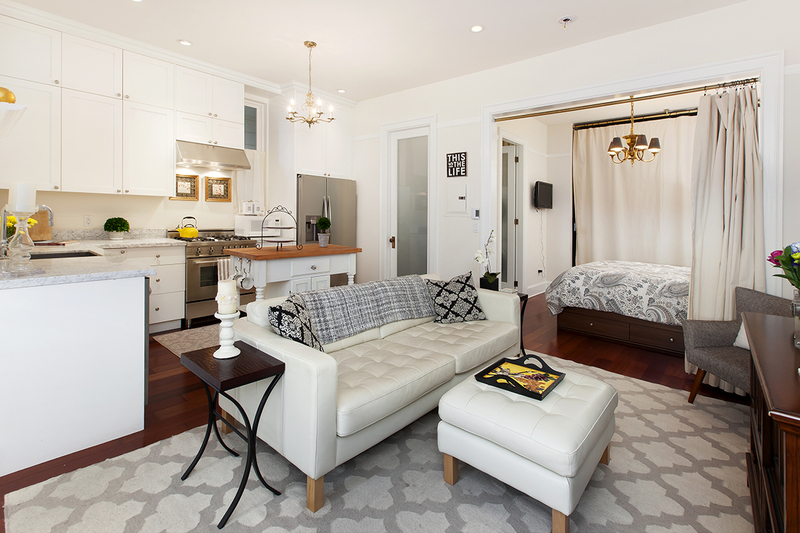 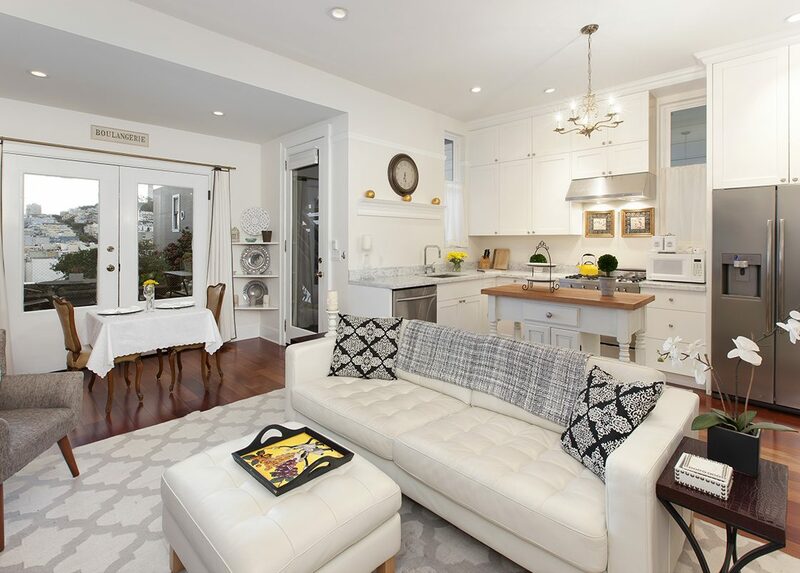 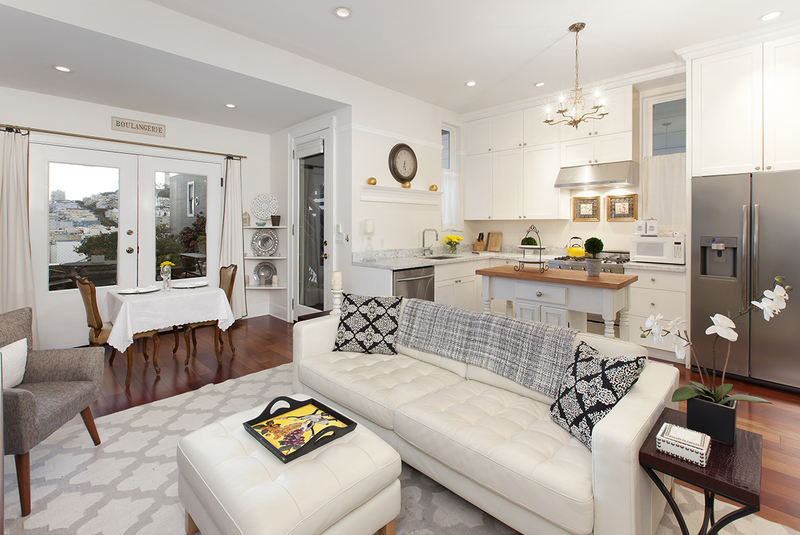 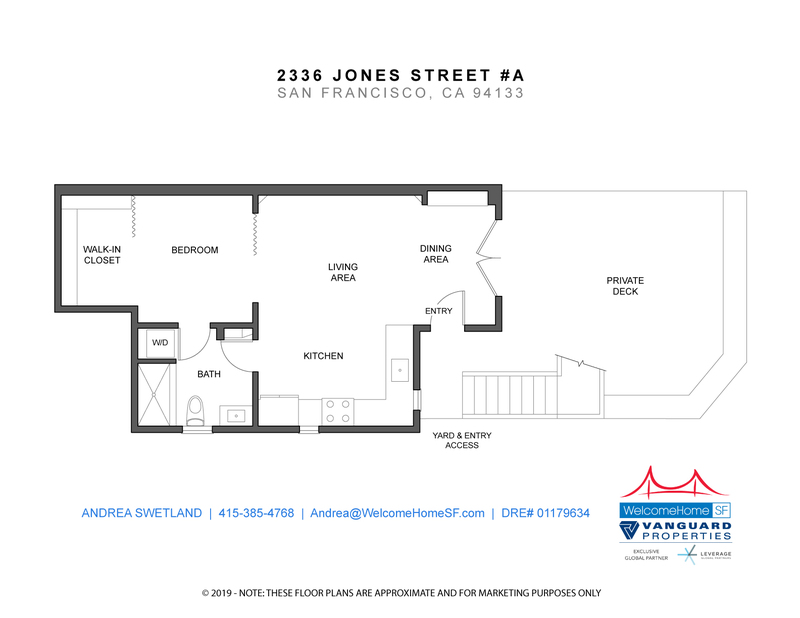 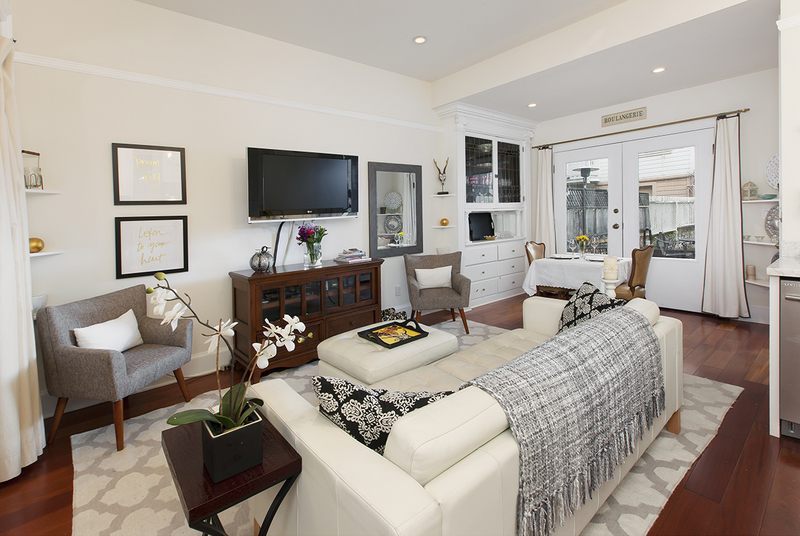 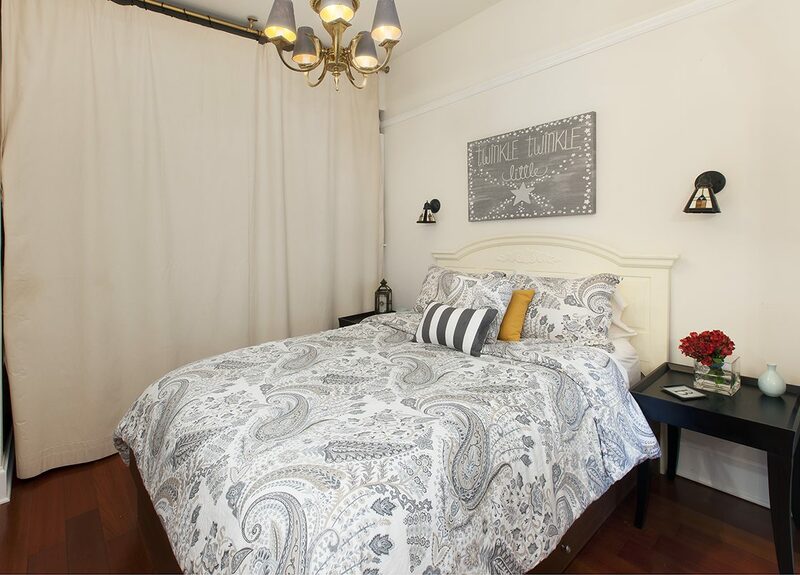 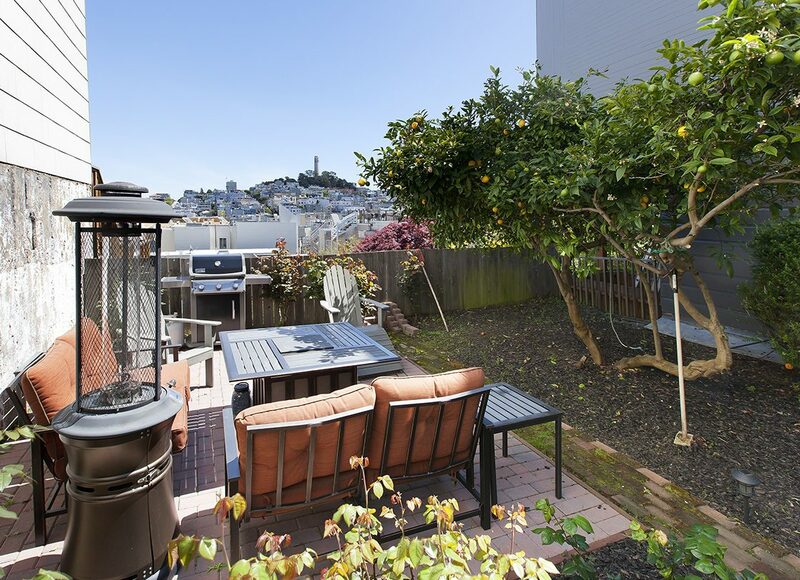 This exquisite Junior one-bedroom garden condominium, in a 4-unit building, is located on one of the best blocks of Russian Hill. 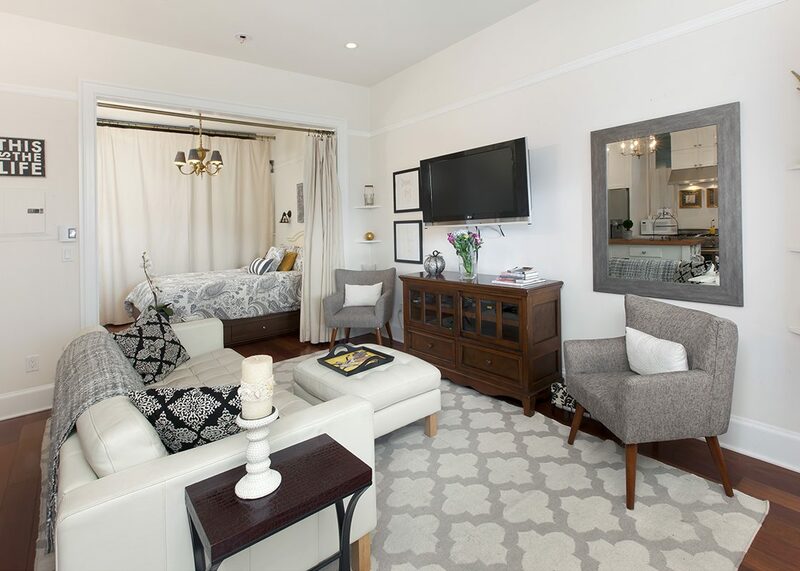 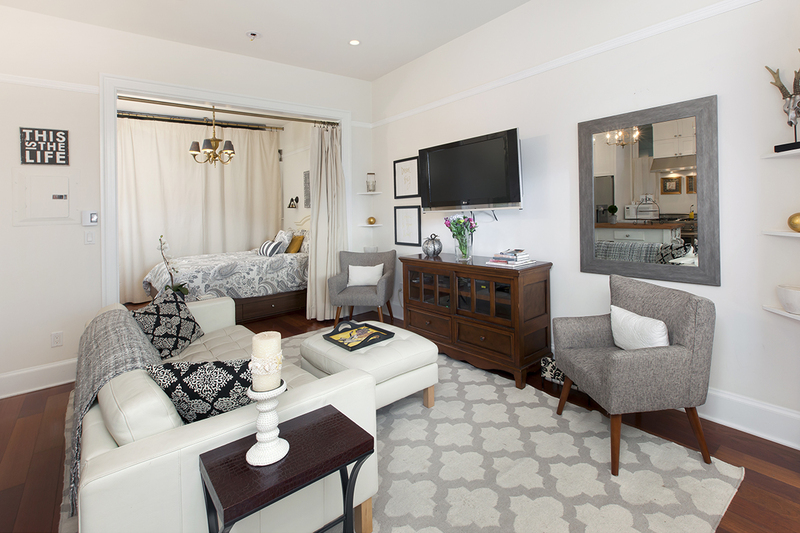 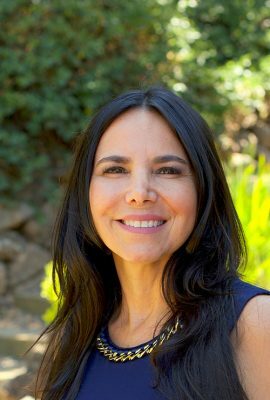 A compact, yet comfortable floorplan features: a spacious bedroom with walk-in closet, a beautifully remodeled bathroom, period details such as a built-in hutch, and high ceilings throughout. 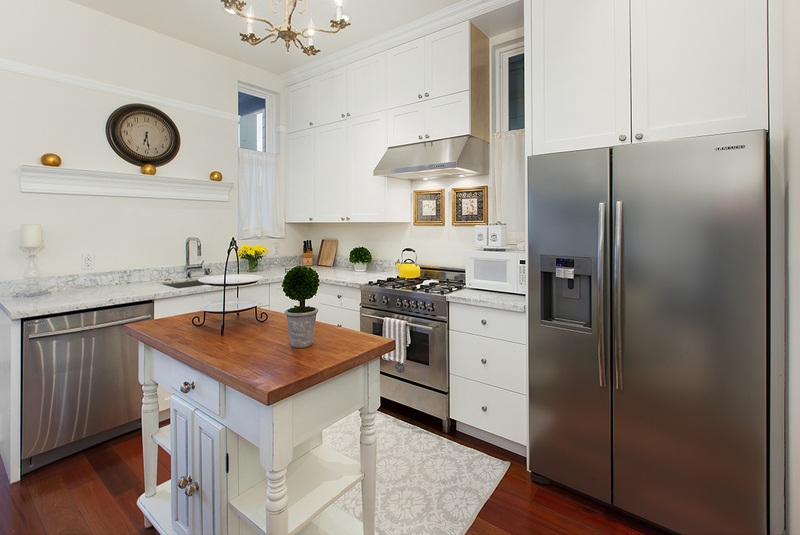 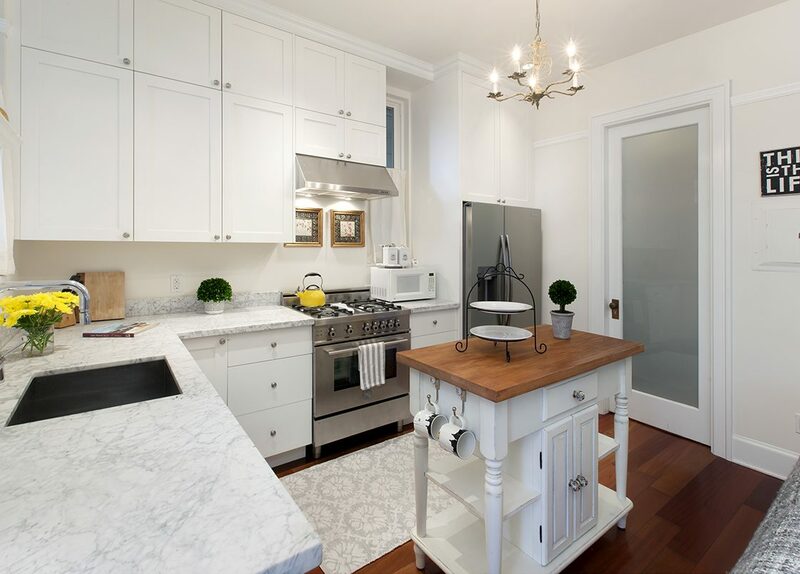 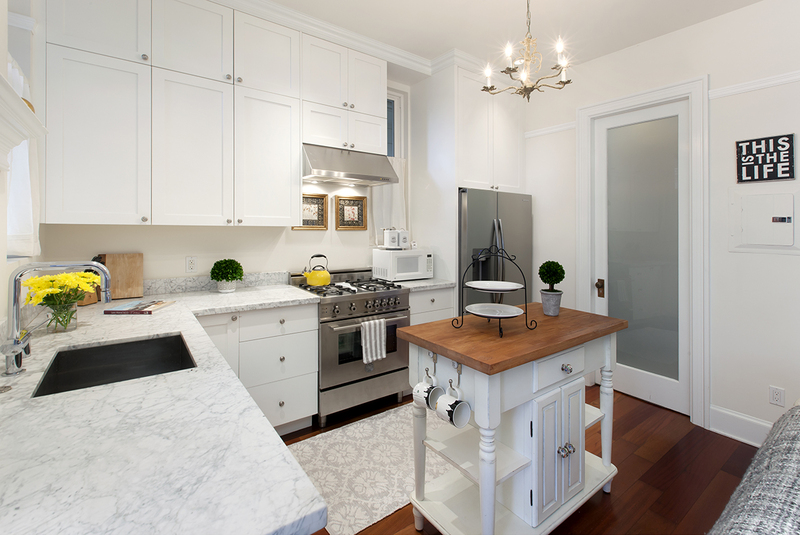 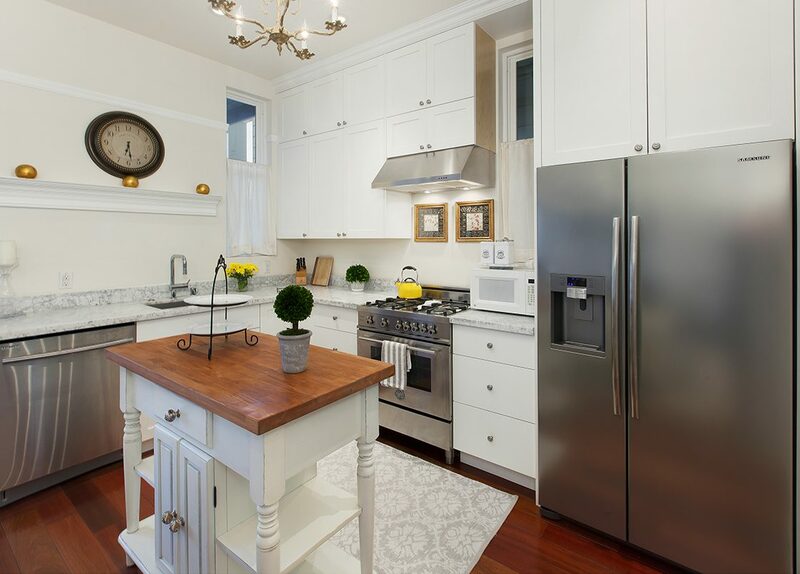 The kitchen boasts marble counters and stainless steel appliances, including a Bertazzoni gas range. 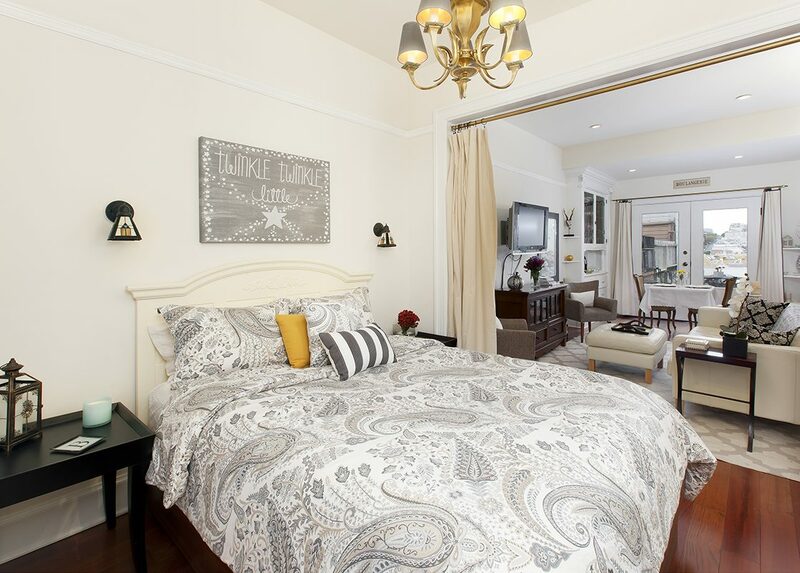 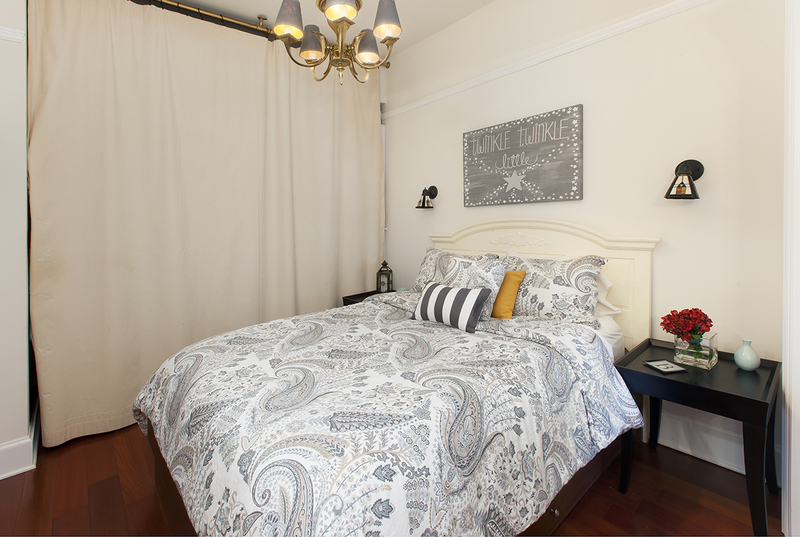 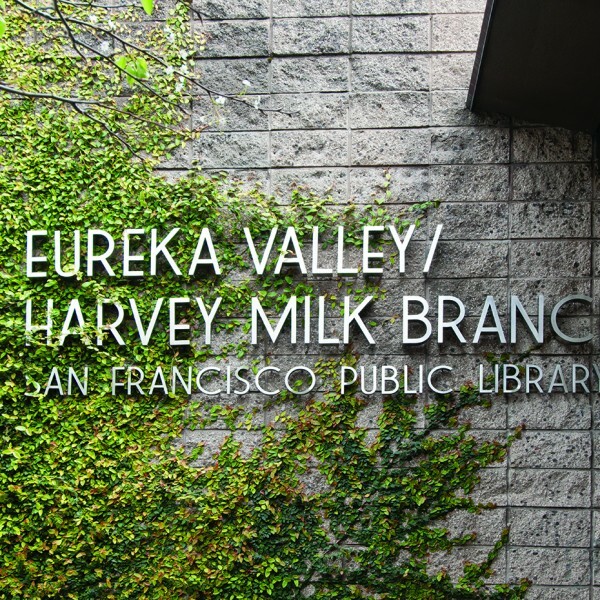 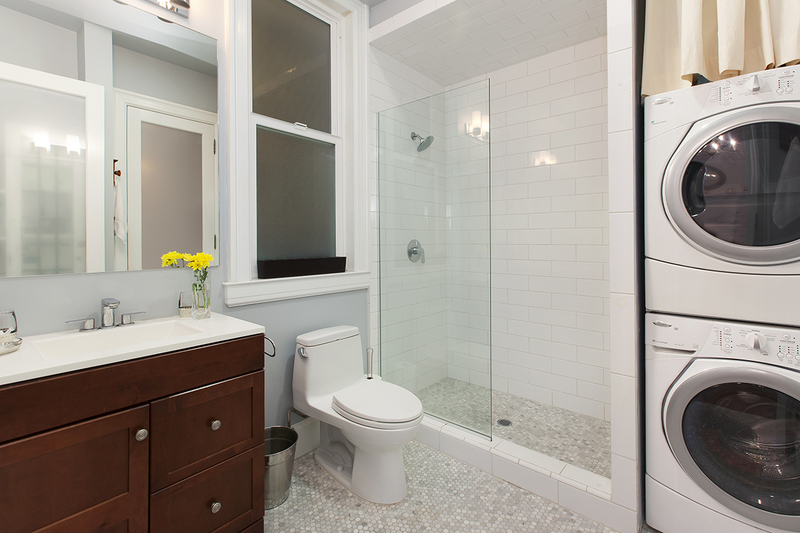 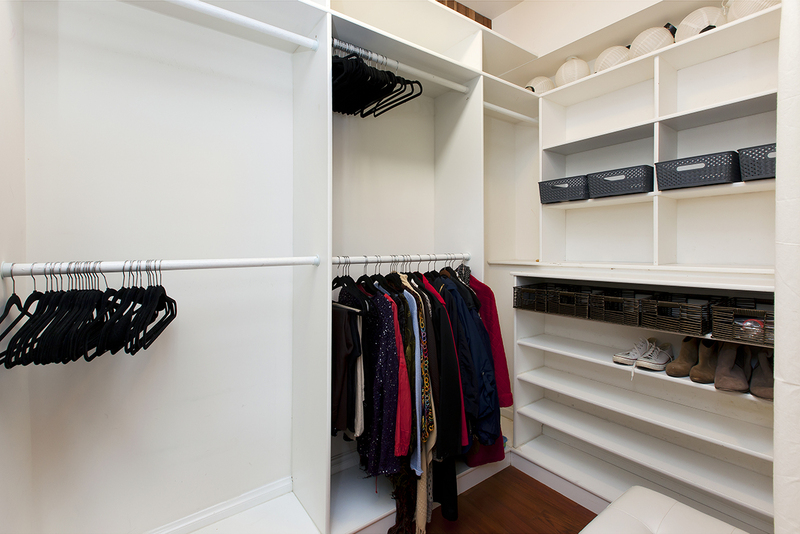 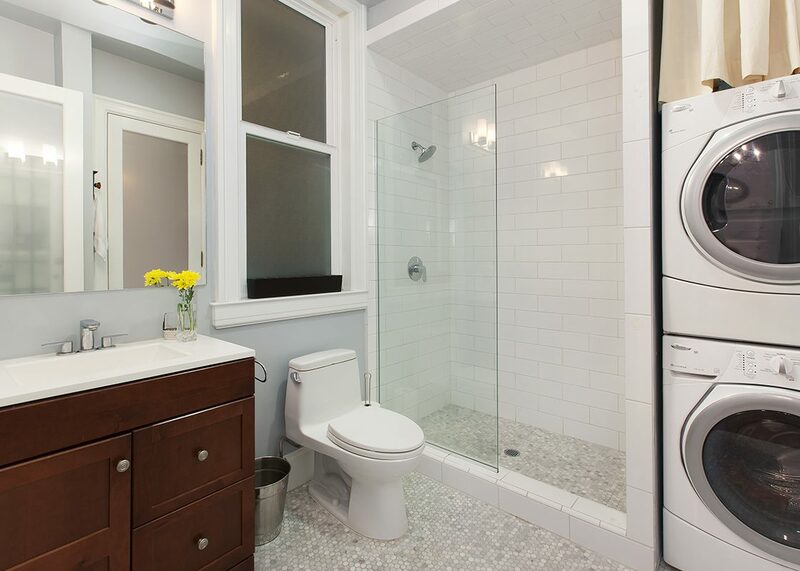 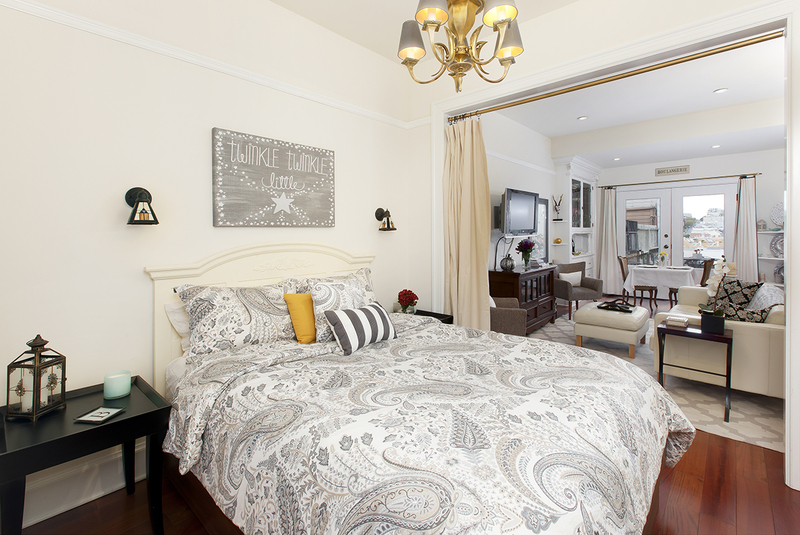 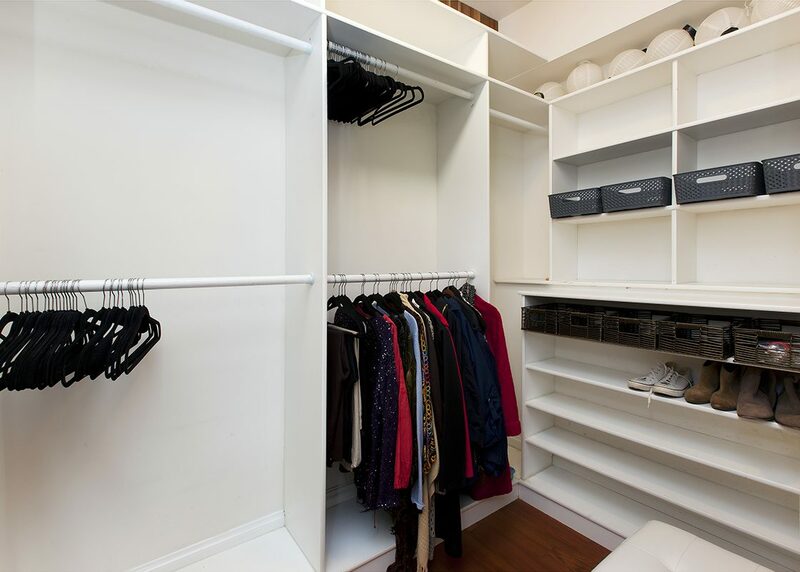 Additional upgrades include hardwood radiant heat floors, in-unit laundry and recessed lighting. 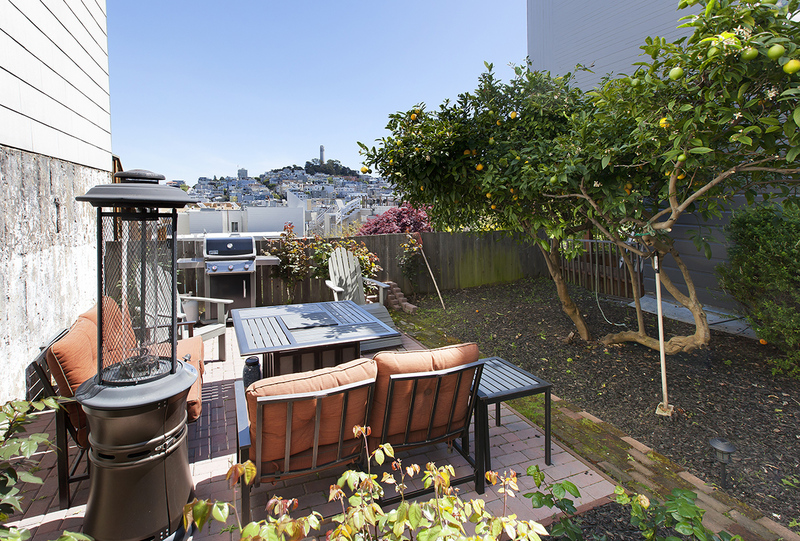 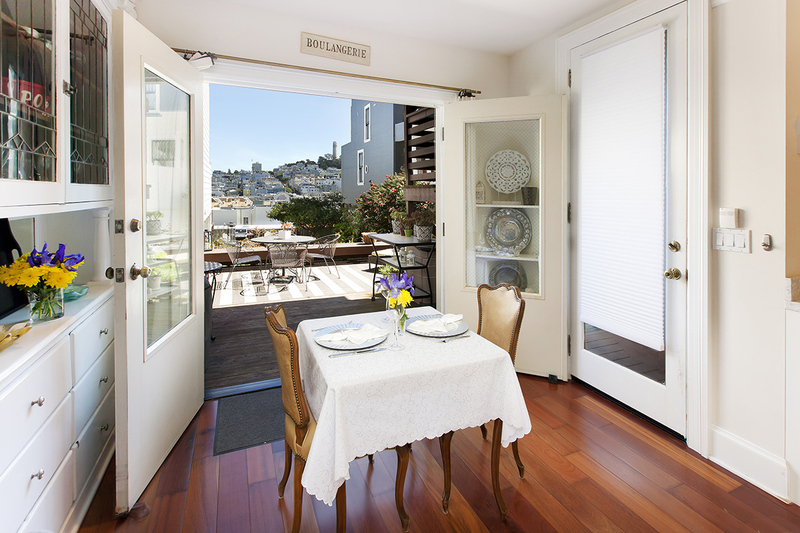 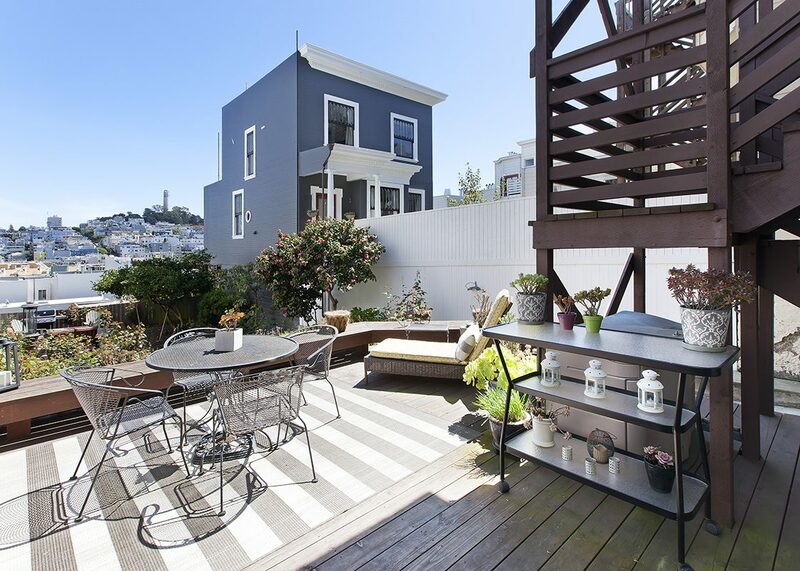 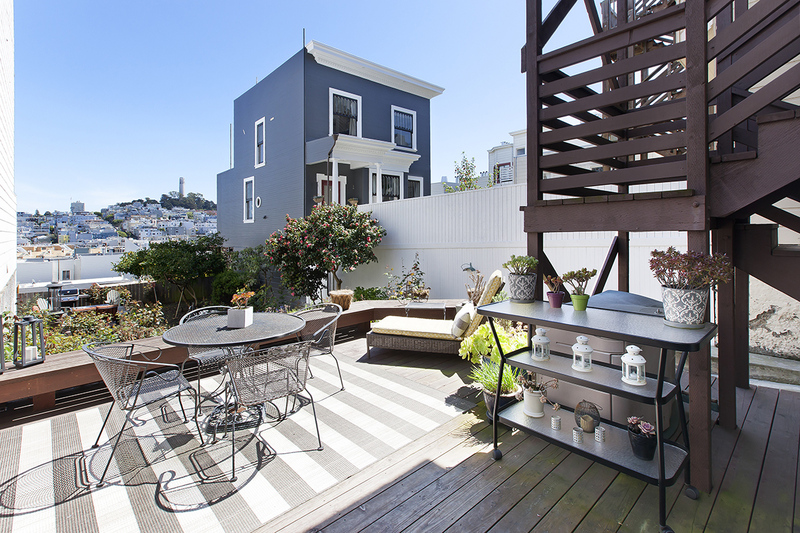 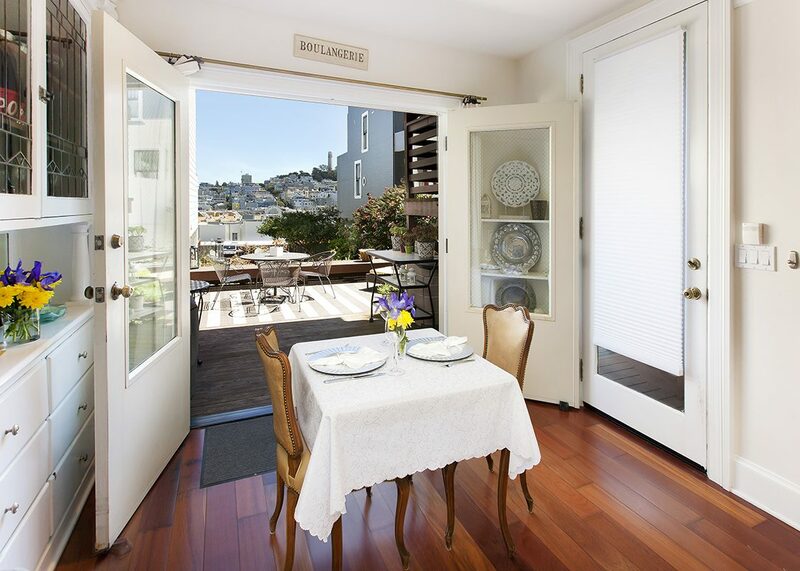 French doors lead to an exclusive-use deck perfect for entertaining, barbecues or just relaxing to enjoy the iconic San Francisco view of Telegraph Hill and Coit Tower. With a 94 Walk-score and 92 Transit-score this fabulous unit is just steps away from many stylish cafes, restaurants and shops.